Families are invited to take part in the first family Lough Boora event of the year. The event takes place in Lough Boora Discovery Park on Easter Saturday April 4. 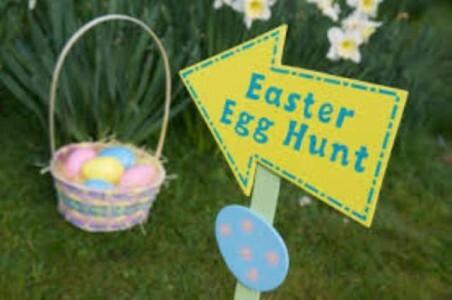 The action kicks off from 12noon with a very special Easter egg hunt along the spectacular Lough Boora sculpture trail. The Boora Bunny and his Easter helpers will be on hand throughout the day to help little egg hunters collect special eggs with a chocolate treat inside and the first 500 children to register with a parent for the Egg Hunt will recieve a full-size Easter Egg at the finish. Each child will be gifted with a bunny mask when they register to look the part as they enjoy the day’s activities. A fun filled day is planned, including a Bunny Hop Race, the much-loved Egg and Spoon race. Easter egg painting workshops as well as a range of exciting arts and crafts activities. This event is free of charge, there will be fundraising throughout the day for local Ferbane and Kilcomac Scout Groups.